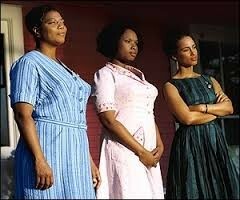 3 African American sisters who bee keep for a living [August, June, and May, (April committed suicide at young age)]. 18 year old who works for the Boatwright Sisters. The theme of this book is racism and female power, and the genre is fiction. 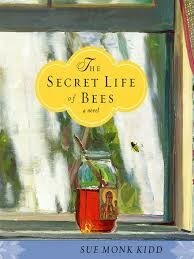 The Secret Life of Bees was set in the summer of 1964 during the Civil Rights Movement. Lily is a young teenager trying to escape her angry father and save her only mother figure in her life, Rosaleen. Her father, T Ray, has always blamed Lily for her mother’s death, but Lily knows deep inside of her that she did not do it. Without her father knowing, Lily keeps box of her mothers things including a mysterious picture of an African American woman, almost like a cutout of a black Mary, labeled, “Tiburon, S.C.” After an incident at the police station, Lily heads out to find the truth about her mother. One day, Rosaleen was going down to the police station to register to vote. All of a sudden, she gets attacked by a bunch of racists, and Lily and Rosaleen know they both need to leave town immediately. Rosaleen was sent to the hospital where they escaped later that day. Lily has always needed an excuse to desert T Ray and find out the truth about her mother. She knew that the town written on the black Mary picture held secrets about her mother. They head toward the town of Tiburon and were directed toward a huge, bright pink bee keeping house. When they arrived, three African American women greeted them. After telling a numerous amount of lies, Lily and Rosaleen were welcomed into the Boatwright's home. Throughout there stay with the sisters, Lily connected very well with August, the oldest sister. It was very hard for Lily not to tell August the truth about why she was the there, but Lily knew that in order for Rosaleen and her to stay, she was going to have to continue to be untruthful. LILY HAD AN ADVENTUROUS TIME STAYING WITH THE BOATWRIGHT'S. DOES LILY EVER FIND OUT ABOUT HER MOTHER? Lily eventually thinks it's the right time to tell August the truth about why she came to the Boatwright's house and about her mother. 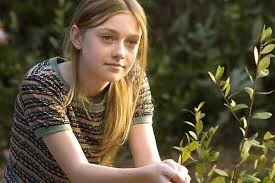 However, August tells Lily that she knew the whole time that Lily was Deborah's daughter. August also tells Lily that Deb lived with the sisters from age 4 to 19. Then, when Deb became depressed throughout her marriage, she left the family and returned back to the Boatwright's. WHAT HAPPENS WITH T RAY? One day, T Ray randomly shows up at the sister's house and demands the Lily and Rosaleen comes home (T Ray found them because of the mysterious phone number that called one day). 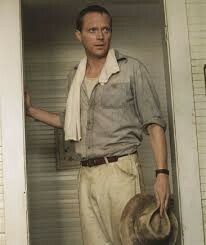 However, August makes a deal with him to let them stay in Tiburon. In the end, Lily realizes that she no longer doesn't have a mother, she has three: August, June, and Rosaleen. As for Zach and Lily, Zach attends a white high school with Lily and they all live happily ever after. The theme of The Secret Life of Bees was racism and female power. I think that the Boatwright sisters and Rosaleen played important roles that related to the overall theme. The Boatwright's were black and female so they showed their female power by running the bee house. When Rosaleen went to register to vote no white man was going to stand in her way. She even ended up in jail, because she didn't want to get walked all over. Did you notice any reoccurring symbols? What were they? As I read earlier, the Black Mary symbol was a very important in this book. Lily carries around the black Mary picture throughout her whole life trying to stay close to her mother. When she finds the sisters, she knows that the picture was her mother leading her there. The "Daughter's of Mary" group worship the black Mary statue. Was the ending satisfactory? Why or why not? The ending was very satisfactory because Lily told August truth, Lily was able to stay with the Boatwright's, and Zach attended a white high school with Lily. I would recommend this book. It was very easy to read, and I liked seeing Lily mature and accept the love from the sisters. It was very well written in the sense that it was a happily ever after! The sisters all had so much sass and reading in that tone of voice was fun as well.